Cleveland, OH (January 14th, 2019) – Earlier this week, at The Country Club in Pepper Pike, Howard Hanna Real Estate Services announced two important management changes. These updates will strengthen the leadership team and ensure the company’s position as a broker of choice. Michelle DeGulis, Vice President, was named the manager of the Pepper Pike office, and Mary Beth Wolfe was named the manager of the Chagrin Falls office. DeGulis was licensed in 2004 and joined Howard Hanna as a sales associate. She has been recognized by the Ohio Association of Realtors with the “Award of Achievement” and the “Award of Distinction.” In 2008, she was promoted to manager of the Gates Mills office and then transitioned to also manage the Chagrin Falls office in 2010. In her role as manager of a top office, she has coached, mentored, trained, and supported her staff as they work with buyers and sellers. Outside of real estate, DeGulis is an active member of the local community. She is on the board of the Howard Hanna Children’s Free Care Fund, and the Chagrin Falls fundraiser, “Taste in the Chagrin Valley,” has regularly been among the top fundraising events in the company. She has also been a chairperson for the Heights Heritage Home Tour and volunteered as Chair and Secretary for the Cleveland Orchestra committee. Wolfe became licensed in 2004, and the management team quickly recognized her leadership and savvy, nominating her as “Rookie of the Year.” Her collaborative spirit, management experience, and knowledge in sales and marketing will serve her well as she leads the Chagrin Falls office to new heights in 2019 and beyond. In addition to working as a sales associate at Howard Hanna, Wolfe has also held many community leadership positions. She has served as an elected official on the South Russell Village Council, on the Chagrin Valley Chamber of Commerce Board of Directors, and on various strategic planning committees for the Chagrin Falls Exempted Village Schools. Nationally, Howard Hanna ranks as the 3rd largest real estate broker according to RealTrends Magazine, and locally it has dominant market share in the East Region, including Pepper Pike. 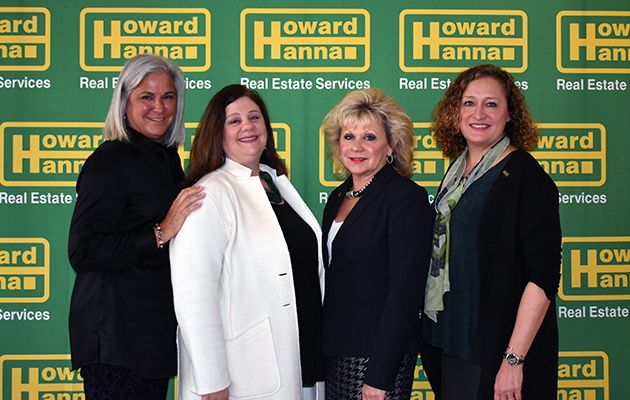 Howard Hanna Real Estate Services is the largest family-owned real estate company in the country and has been Northeast Ohio’s leading broker for decades. Through the accomplished leadership of managers such as DeGulis and Wolfe, the company expects to maintain its market leadership and experience growth in 2019.